It’s no secret that I love supporting local creatives. Friday night, My Girl and I wandered along to the opening night of a new exhibition in the Wonderwall Gallery at Courthouse Arts, Geelong. 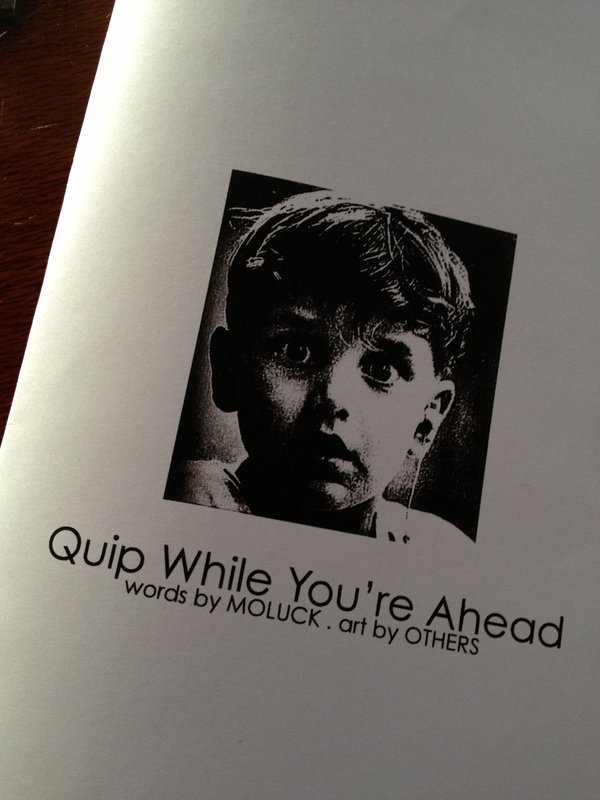 Titled Quip While You’re Ahead – words by MOLUCK . 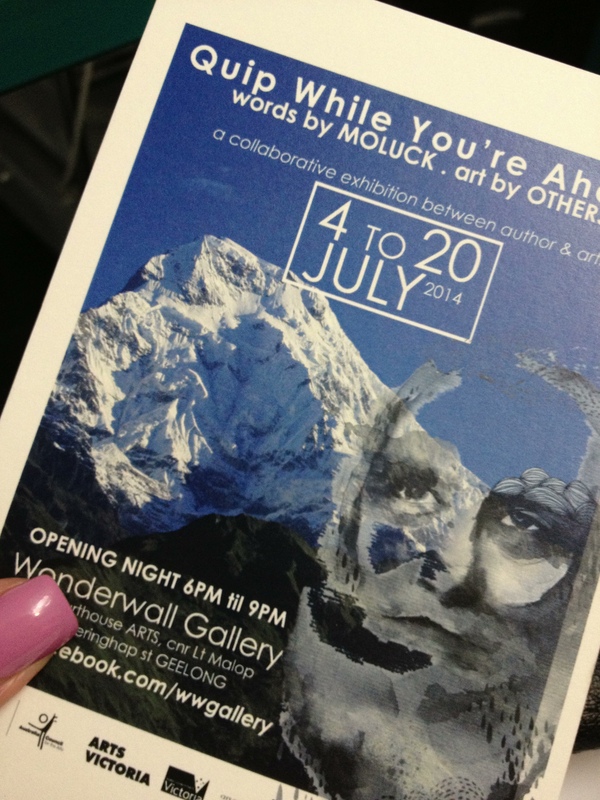 art by OTHERS, this little one-room show is a collaborative exhibition between author and artist. All the creatives are under twenty-six years of age. Each artwork is a response to one of MOLUCK’s evocative poems, some Haiku-style short and others much longer narratives in verse. The creative responses are varied and fascinating. There are installations, detailed mixed media collages, photographic interpretations and more. The exhibition is on until 20 July 2014 and well worth an hour of discovery time, to allow for reading of MOLUCK’s beautifully crafted poems, each displayed beside its appropriate art. 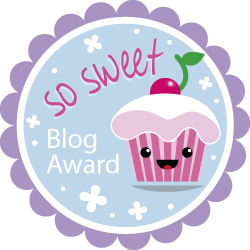 Why not get out there and discover some emerging creative talent?